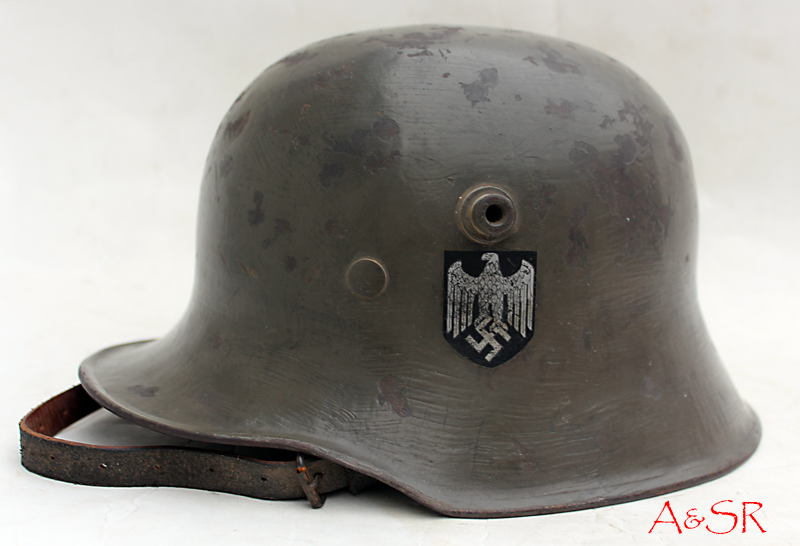 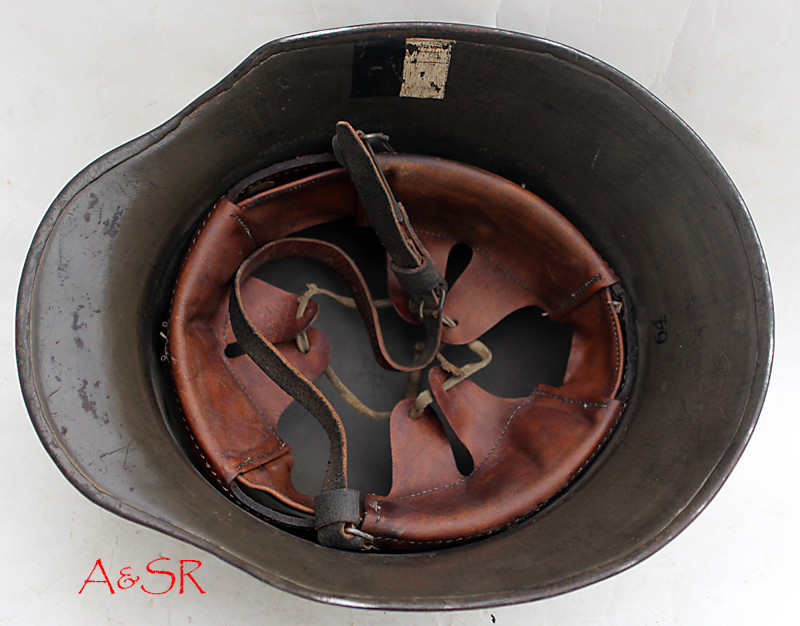 This M18 helmet has been restored to look like an early Third-Reich era helmet complete with a 1927 pattern liner. 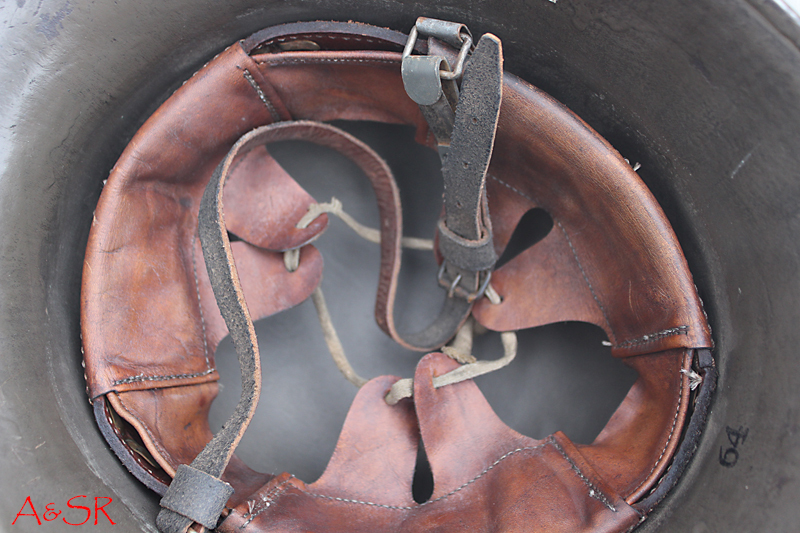 The early shade of matte field gray has been hand painted directly over the WWI field gray finish. 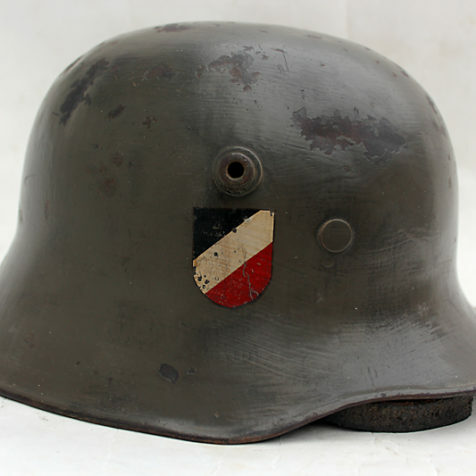 Many of these helmets were seen on German troops entering the Sudetenland, Memel and later during the invasion of Poland. 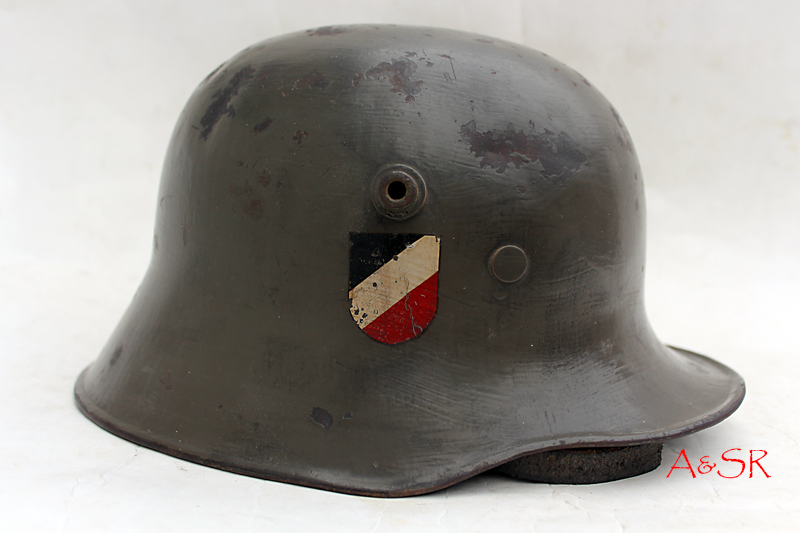 The helmet has a Prussian flash painted on the inside of the skirt as was the traditional between 1933 and 1937.